The College Board comprises of representatives from parents, the community, staff and students. 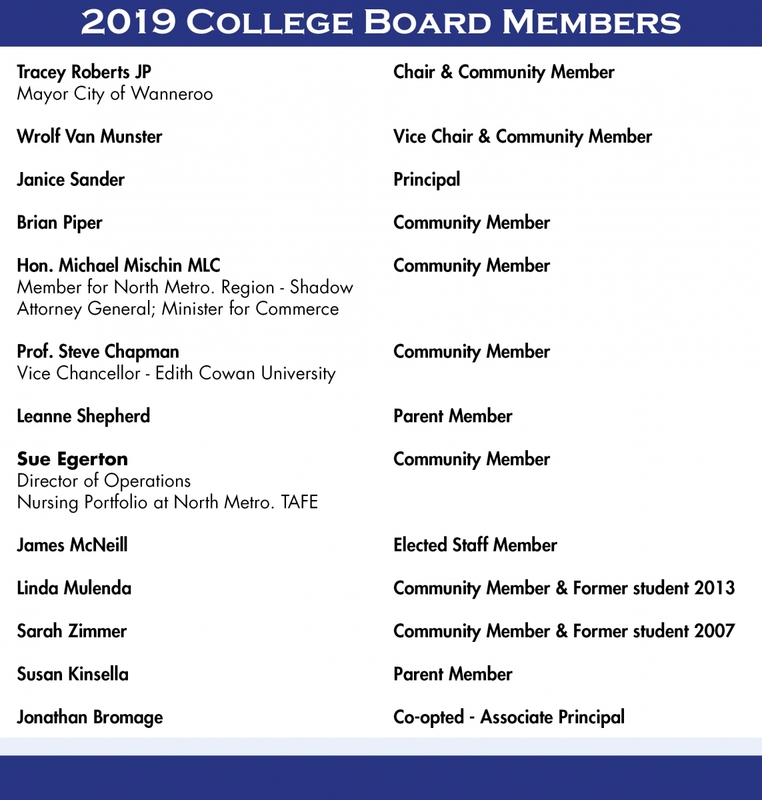 The Board has an important influence on the direction of the College with members bringing ideas and lending their expertise to strategic planning and community partnerships. We are fortunate to have an energetic, committed team, who are focussed on helping the students achieve their goals and it is encouraging that everybody works diligently to promote the best interests of the College throughout the year. There are currently no positions available for the College Board. Parents will be notified when a position becomes available. All Board Members must complete a 'College Board Code of Conduct' and complete a 'Criminal History Screening' before their membership can be accepted. Information regarding the Screening Application can be found below. Please contact Julie Ayers on 9304 5808 if further information is required on this process.